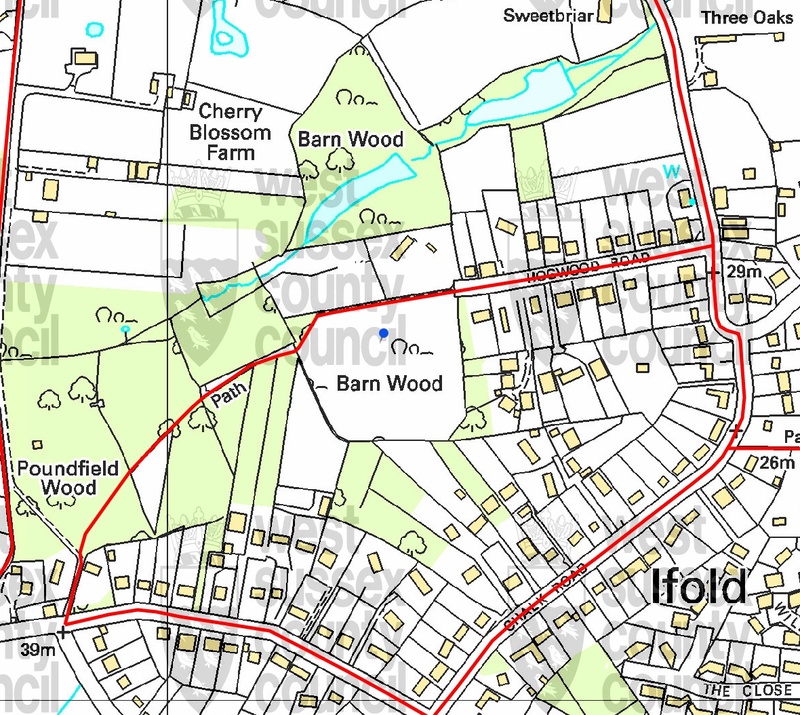 LGSi5 [reviewed and discounted]: Barn Wood, Ifold (Ancient Woodland): adjoining Poundfield Wood (Semi-natural Woodland). 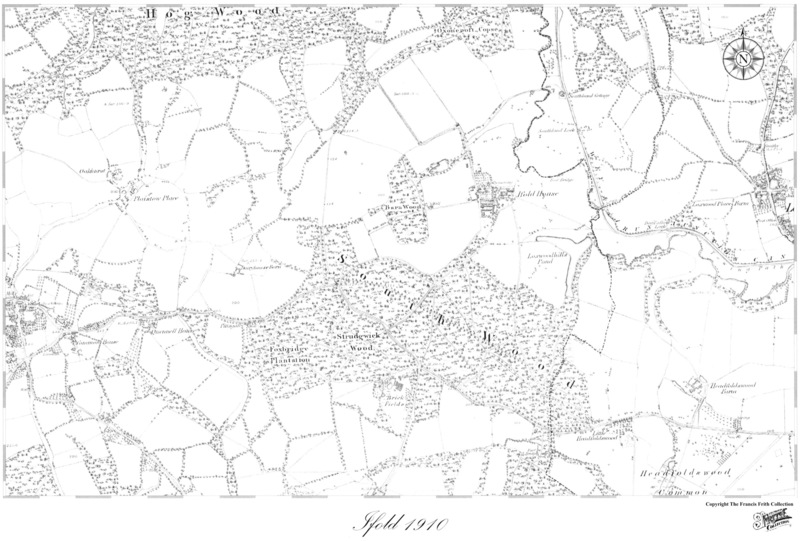 This woodland is noted on a 1910 map of Ifold, and was then part of the lands of Ifold Estate and its manor, Ifold House. 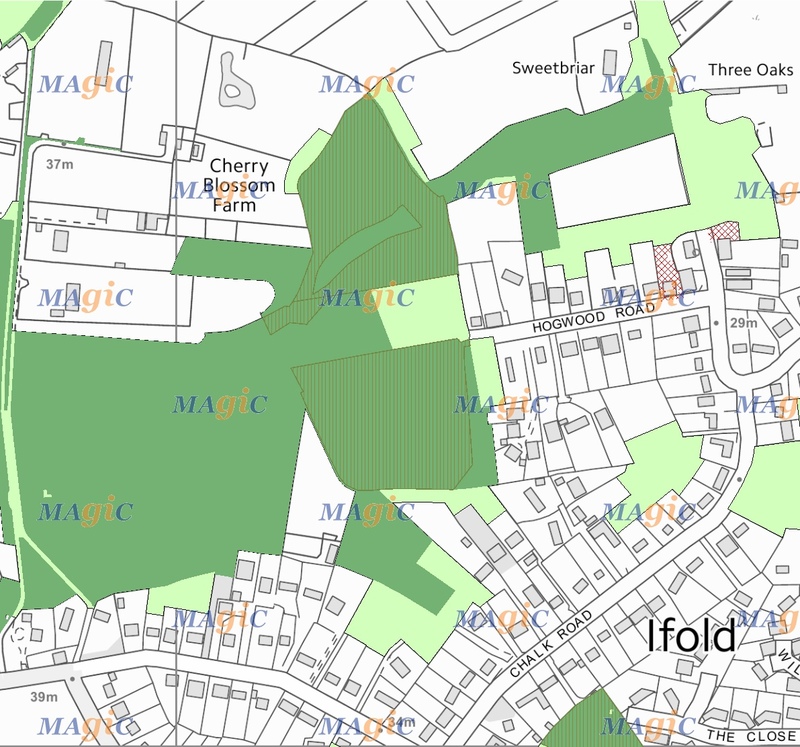 It is an important Ancient Woodland belt behind residential development, contributing to biodiversity and acts as a woodland wildlife corridor as it provides foraging for protected bat species whose flight lines are over Ifold leading to SAC: The Mens and Ebernoe Common. As a result, development should be resisted and mitigation for lighting requirements is recommended be implemented in the surrounding residential properties. 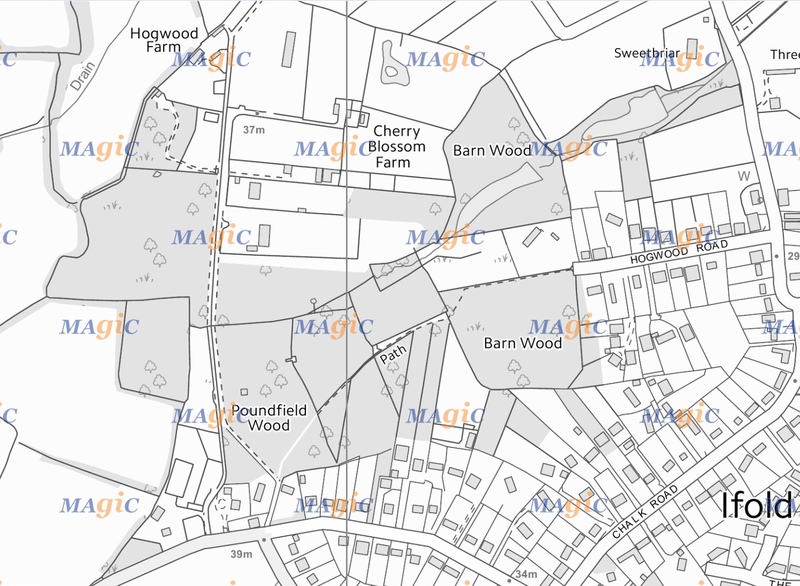 This Ancient Woodland maintains the rural, countryside character and the sylvan setting of the Ifold settlement. 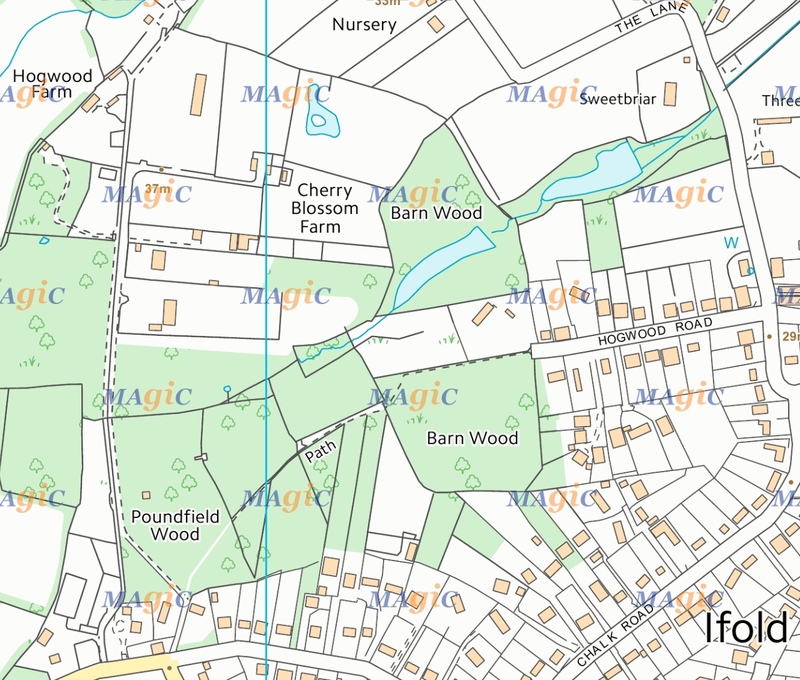 The woodland is enjoyed by local residents for informal recreational use from a Public Right of Way (Footpath Number: 624). Aerial Photo – LGSi5: Barn Wood, Ifold (Ancient Woodland).